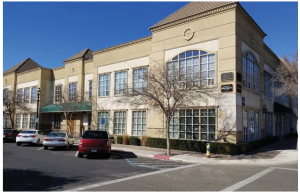 Advanced Technology Center in Clovis, CA for Costar Technologies, Inc.
Arecont Vision Costar’s Technical Services organization includes skilled Field Application Engineers (FAEs) who primarily provide pre-sale technical and configuration support. This includes both remote and onsite assistance to authorized security dealers and integrators, working in conjunction with both the Arecont Vision Costar’s Inside Sales team and the regional sales managers and sales directors based in their geographic regions. Technical Support Engineers (TSEs) are also critical members of the Technical Services team, focused on post-sales customer issues, ranging from diagnosing hardware and software issues to troubleshooting complex situations to resolve problems. Arecont Vision Costar implemented a new corporate mandate in 2019 to deliver the industry’s best customer experience. This initiative is based on three key pillars, which are Customer Support, Product Quality, and Product Innovation. All aspects of the company are oriented toward achieving and maintaining this initiative. Prior to accepting this position, Mr. Fairchild served in a consulting role in which he led the company’s implementation of an entirely new Customer Support Portal3, powered by Zendesk. The new system simplifies the processes and reduces the time involved in obtaining support from the Technical Assistance Center (TAC), provides improved communications with the customer, and engages any others needed throughout the Arecont Vision Costar organization to resolve the issue the customer is experiencing. Support call wait times have already been reduced, RMAs now typically ship in 24 hours or less, and an informative new knowledge base has been created that is available to customers and team members alike through the portal. 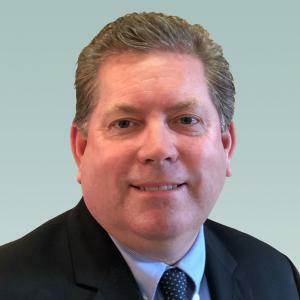 Mr. Fairchild is based at the Costar Technologies, Inc. Clovis, California office, in Arecont Vision Costar’s new Advanced Technology Center (ATC). He holds a Bachelor of Science (BSc) in Business Administration degree, from California State University Fresno. Mr. Fairchild is currently working to complete an MBA degree. Visit Arecont Vision Costar online at www.arecontvision.com to learn more about the company or find sales contacts around the world at https://www.arecontvision.com/where-to-buy.php. Arecont Vision Costar, LLC, a Costar Technologies, Inc. company (OTC Markets Group: CSTI), is the leading US-based manufacturer of high-performance IP cameras and video surveillance solutions. We are focused on providing the best customer service, product reliability, and product innovation. We offer the Total Video Solution composed of superior megapixel cameras (MegaIP™ & ConteraIP™), advanced ConteraVMS®, ConteraWS® (cloud-based web services), and ConteraCMR® (cloud-managed video recorders) for both local and cloud-based video surveillance.